Victory Energy offers a multitude of heat recovery product and service solutions – ranging from EXPLORER® Series Economizers to Air Pre-heaters. Each product is designed to economize your fuel usage by recovering energy that previously would have been wasted or lost. 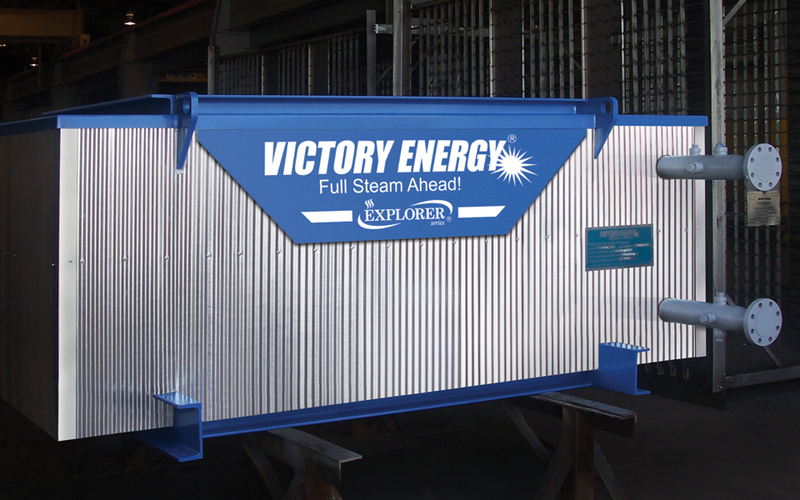 An EXPLORER® economizer from Victory Energy can immediately reduce your fuel costs and carbon foot-print. Your boiler flue gas exhaust has enough energy that can be recovered economically. In addition to reducing fuel usage and emissions, an economizer, by pre-heating boiler feed-water, allows the boiler to more rapidly respond to load changes. Victory Energy engineers and manufactures tubular air pre-heaters that are used for combustion air pre-heating applications. These rugged-duty units are many times custom designed to fit specific individual plant locations.